Summary: The story of a girl who—thanks to her friends, her famous single dad, and an unexpected encounter with a whale—learns the true meaning of family. About the Author: Karen Rivers’s books have been nominated for a wide range of literary awards and have been published in multiple languages. When she’s not writing, reading, or visiting schools, she can usu­ally be found hiking in the forest that flourishes behind her tiny old house in Victoria, British Columbia, where she lives with her two kids, two dogs, and two birds. Find her online at karenrivers.com and on Twitter: @karenrivers. Review: I am a big fan of novels that switch points of view as I feel like it gives another perspective into the story that is being told, and with this story, I am so very happy that we get to hear from Nat AND Harry. There needs to be coming-of-age stories for all types of kids, and Nat and Harry will be someone that kids that may not have someone to connect to in other books will immediately find some kids that they’ll see themselves in. And Harry’s story is one that needed to be told in a middle grade book and hadn’t yet been in a book that I’ve read, and is one that many of my students have asked for. I am so glad that Harry exists for my middle schoolers! 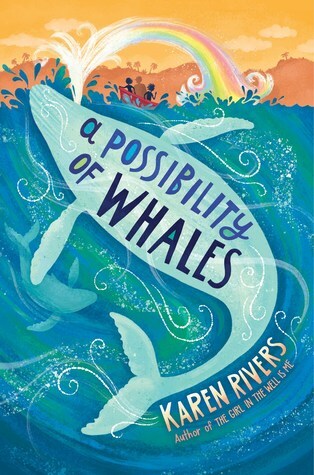 And Nat is a special young lady whose coming-of-age story is one that middle schoolers need as well–a look at family, growing up, friendship, school, and WHALES! Teachers’ Tools for Navigation: The best home for Whales will be in the right kids’ hands. 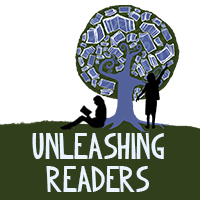 This book will be perfect for all libraries, classroom and school, as well as for the right lit circle or book club. What does Nat’s acceptance of Harry right away show you about Nat’s character? How has Nat’s father’s career and her lack of mother affected her life? Why was the name lion perfect for the paparazzi who followed Nat and her father? What do the whales symbolize in the story? How did the two points of view help shape a more thorough story? What was the author’s purpose of including Bird in the story? What role did she play in Nat’s life? Nat: “On her fourth day at the new place, Natalia Rose Baleine Gallagher walked down the long, lumpy trail to the beach that lay at the bottom of the slope. The ‘Baleine’ was silent, was what she told people when they asked , which was pretty much only when she was registering at a new school or had to show her passport. Baleine was the French word for ‘whale.’ Nat loved the fact that it was there, hiding inside her perfectly normal name. She pictured the whale swimming past the Natalia Rose on her passport, surfacing when no one was looking to take a long huffing breath of air before disappearing again, under the Gallagher. ‘Baleine was also a secret between Nat and her mother, who named her. Harry: “Harry scratched his ear again, so hard it was probably bleeding. It was just a coincidence that it was the same ear that got hurt the year before when a group of boys in his class decided it would be funny to beat him up. They beat him up because they hated him for knowing who he was. That is, they beat him up because even though some dumb doctor said he was a girl when he was born, he was really a boy. The boys who beat him up were not the kind of kids who understood things like that. No one in that town was.